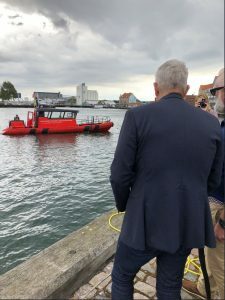 During last week’s Maritime Kulturdage event, in Korsør, Denmark, Sea Machines demonstrated the capabilities of its SM300 product aboard the world’s first autonomous-command, remote-controlled fireboat, owned by TUCO Marine. 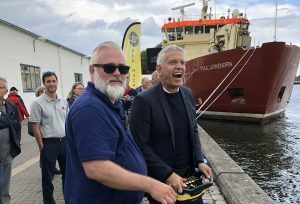 The event was billed as a “maritime cultural day” and aimed to bring together those in the industry to learn about what’s new and trending. 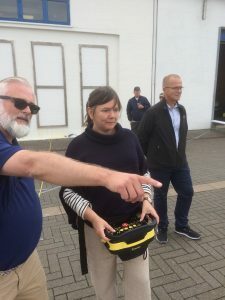 Attendees of the event had the opportunity to learn about the technology and try their hand at operating the fireboat from shore via the remote-control joystick. 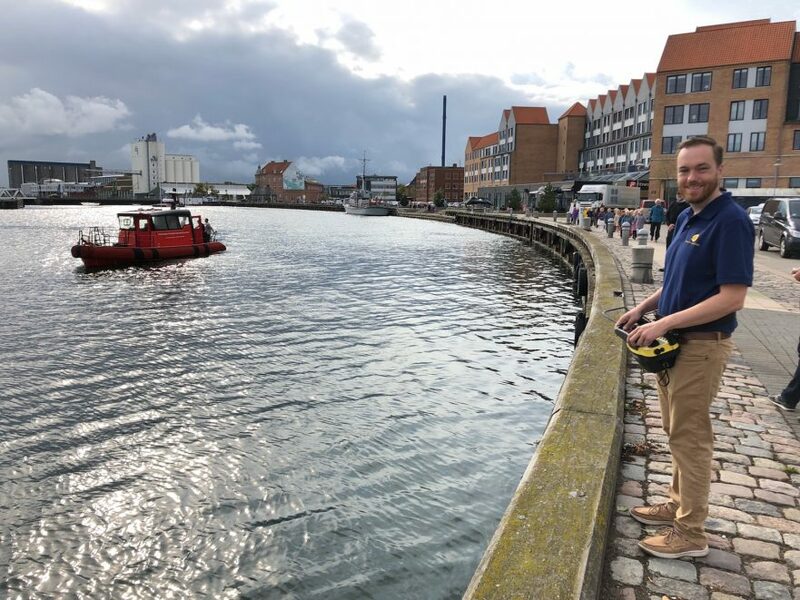 While operating the workboat remotely was entertaining, participants also learned about the many applications such a product has in the marine industry, from spill prevention and response, to emergency response, hydrographic surveys, tugboat operations and more. Sea Machines’ SM300 product – purpose-built for workboats, including patrol boats and ferries – will be released in Q3 2018. It provides direct remote command within a one-kilometer range and autonomous, computerized control for piloting missions with real-time, self-awareness to maintain plan and course, and avoid obstacles. For more information about this product, including pricing, click here. Sea Machines thanks Maritime Kulturdage for the opportunity to demonstrate its product during the event, as well as all of the attendees who took time to learn about this technology, which will revolutionize the marine industry in the very near future. Special credit also goes to the workboat’s firepump supplier, RK Brand & Teknik. 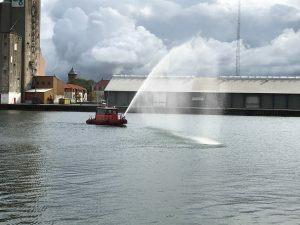 Top photo: Sea Machines’ Christopher Spagna, marine controls engineer, operates the world’s first autonomous-command, remote control fireboat.